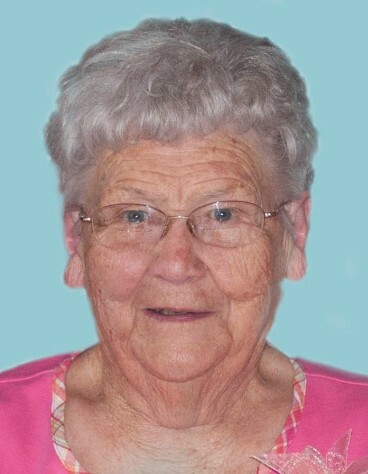 Gloria L. Aycock, nee Neubarth, 93, of Waterloo, IL, died April 2, 2019, in Waterloo, IL. She was born December 11, 1925, in New Hanover, IL. She is survived by her children Linda (Mike) Gipson & Dale (Debbie Kuergeleis) Aycock; grandchildren Amy (Nathan) Starr, Kelly Gipson, Lindsey Gipson, Brittney (Justin) Morrow, & Robert Aycock; great grandchildren Avery Morrow & Colton Morrow; brother-in-law Ray Harold (Jackie) Aycock. She was preceded in death by her husband Printice D. Aycock; parents Louis H. and Louise A. (nee Eitmann) Neubarth; and daughter-in-law Suzie Aycock. Gloria was a member of St. Paul UCC - Waterloo, Waterloo VFW Auxiliary, Monroe County Home Extension, and she enjoyed her ladies card clubs.